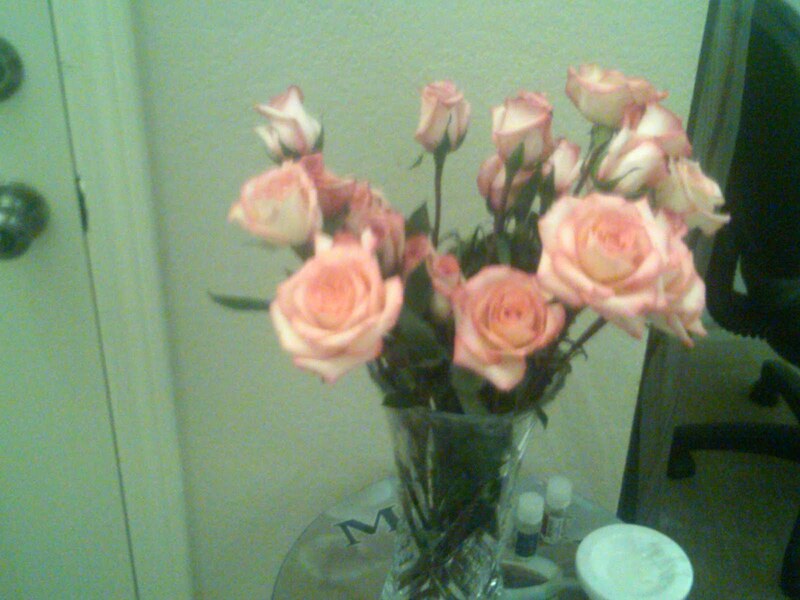 >Here are my pink roses (my fav) from Mister, they are opening up quite nicely! I woke up around 1 AM and checked on my pinto beans. I turned them on and slow cooked them in the crock pot. They smell heavenly. I have no idea what I’m going to have with them, other than cornbread. My Mom graciously gave the bag of beans to me out of her pantry, which looks like a prize closet lol. Thank you Mama! Then I couldn’t go right back to sleep, so I started reading Eric Jerome Dickey’s latest book, Tempted by Trouble. So far so good. Getting ready to head out to lunch and will read some more!